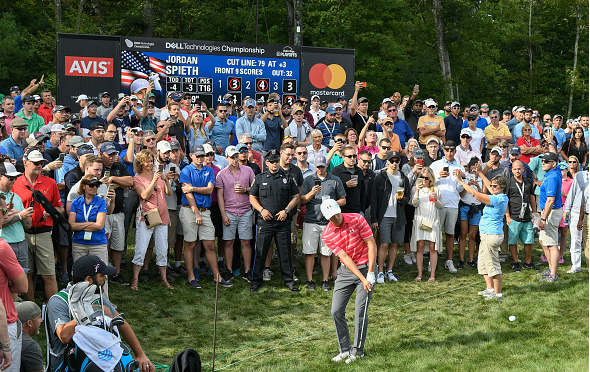 Norton, MA – At first glance, with his already-iconic resume, his ties to Tom Brady, and his recent epic hole-out win at the Travelers down in Connecticut, you would think Jordan Spieth would be a fan favorite in New England. But according to Spieth, that’s not the case. 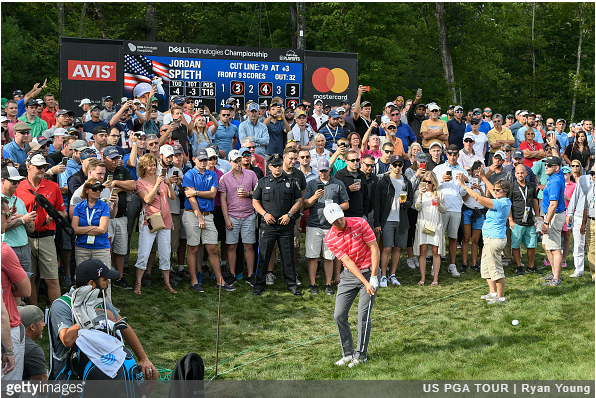 In fact, primarily due to drunkenness, the galleries at TPC Boston were unlike anything he’s ever heard in golf – which is hard to believe considering the reputation of places like the 16th at Phoenix and the 17th at the Honda Classic. Spieth said that it’s standard for golf galleries to root for their favorite players, but they normally don’t call out other players. While Spieth attempted to spin the behavior, a PGA Tour event is not the same as a NBA game. This seems to be a case of fans in Norton, amped up on too much Grey Goose – among other adult beverages, playing to the caricature of Boston sports fans.